Recently the building of QSFP-DD (Multi Source Agreement) Group has excited optical communication industry. This group, including 13 members which are all the leading vendors in the industry, like Cisco, Brocade and Finisar, aims to create a upgraded version of QSFP transceiver, which is called QSFP-DD ( double density QSFP) and will be able to support 200G/400G Ethernet. The QSFP-DD is similar to the current QSFP. But there are many differences between the current QSFP. The reason why the new transceiver is called “double density” is related to the current 100G QSFP28 transceivers. 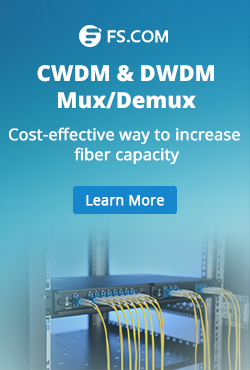 The “double density” means the doubling of the number of high-speed electrical interfaces that the module supports compare to regular QSFP28 module. We can understand the QSFP-DD better by comparing it with the current 100G QSFP28 module. QSFP28 transceiver is a four-channel transceiver which is able to transmit and receive 100G per second simultaneously. With the advantages of high speed and low power, QSFP28 transceiver is becoming more popular than other 100G transceivers like CFP2 and CFP4. The 100G QSFP28 transceiver is implemented with four lanes with each supporting data rate of 25G. The working principle of QSFP-DD is similar with 100G QSFP28 transceiver. The QSFP-DD MSA group will increase the lane to eight. There will be a row of contacts providing for an eight lane electrical interface in QSFP-DD. If modulated by NEZ, each lane of the QSFP-DD can support data rate up to 25G, thus, it can support a total data rate of 200G. If modulated by PAM4, it can support data rate up to 400G with each lane supporting data rate of 50G. The MSA group also announced that the QSFP-DD can enable up to 14.4Tbps aggregate bandwidth in a single switch slot, which can definitely satisfy the increasing need for higher bandwidth. Another great feature of QSFP-DD is that its system will be backwards compatible, allowing them to support existing QSFP modules and provide flexibility for end users and system designer. This means the data center could save a considerable sum of money in the future upgrading. The appearance of QSFP28 transceiver has changed the regular development road map of Ethernet. The regular upgrade road is 10G to 40G and then 100G. While the QSFP28 transceiver has changed it from 25G directly to 100G. The road map of this QSFP-DD is also drawing our attention. It is predicted that it will become a useful family of modules for the industry with application at greater than 400G. Meanwhile, there is no efforts underway to define these new speeds but it is expected that QSFP-DD will have a roadmap that supports. Any way, no matter where the QSFP-DD lead our Ethernet to, it is good news for our future networking system. The creating of this new module will still need some time. For now, many data centers are considering about upgrading their data center with 100G QSFP28 transceivers. And there are a variety of switches which support QSFP28 interfaces on the market. However, 100G QSFP28 transceiver is still not cheap in the current market. For example, the price of a 100GBASE-SR4 QSFP28 transceiver is generally more than $2000.00. However, in FS.COM, supported by OEM, the price is much more favorable. A 100GBASE-SR4 QSFP28 transceiver only cost $650.00 in FS.COM. 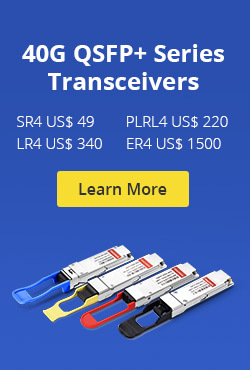 The following chart is detailed information of 100G QSFP28 transceivers in FS.COM. For more details, please contact us at sales@fs.com or visit FS.COM. This entry was posted in Fiber Optic Transmission and tagged 100G QSFP28-LR4, 100G QSFP28-SR4, 100GbE, QSFP-DD, QSFP28 on April 2, 2016 by Alice Gui.